Today, I’m reviewing Video Authority Author by Krizia (Miss K.) There is a lot to the course, so this is a long post. Krizia is a very successful author and publicist. She’s worked with best-selling authors and has been featured in Forbes magazine. She’s sold some of her YouTube channels to investors for big bucks. I say all of this so that you know she’s the real deal. It’s probably the only reason I bothered to really go through this course. It took me a little while to get through it all because, as you know, I’m not a fan of video as a learning mode. I get impatient because I can’t “skim” video the way I can with printed training. I am glad I did go through it though, because there is a lot of great stuff here. When you get inside the members’ area, it is a bit confusing at first. It was to me anyway; because of course I didn’t watch the welcome video right away, which is where Krizia tells you how to navigate the training. There are a number of links under the welcome video for different training packages. It seems that Krizia also teaches her Video Authority course for realtors and for virtual assistants so there are links for those as well as the author one. If you click on a link to training you haven’t purchased, it will tell you that you are trying to access the wrong membership level, but it WON’T give you a link to purchase that membership. If you’re interested in one of those other trainings, I guess you’d just have to contact support for that. 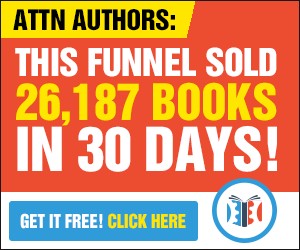 This part of the training tells you various video strategies you can use to promote your books and yourself as an author, an expert, and a celebrity. Video 1 (18:09 minutes) is an overview – why you should be using video. Video 2 (12:46 minutes) covers 12 ways to use video to promote your book. Video 3 (16:35 minutes) reviews the 12 ways from Video 2 then covers 13 additional ways. Video 4 (6:51 minutes) reviews the 13 ways from Video 3. Then she gives you some strategies. Then she reviews those strategies. Then she gives you some more strategies. The content is very good, and there are some really interesting and creative ways to use video. It’s obvious that Krizia knows her stuff, and I can really see how some of the methods she discusses could be VERY powerful. Even though I don’t love learning from video, I do know how important it is in helping build a relationship with your readers. And as an entertainment factor, it’s huge. I know my husband can sit for hours watching videos on YouTube related to his areas of interest. The repetitive nature of the training did bug me a little, just because of my resistance to videos. If this were taught in a classroom, I would probably consider it a great teaching strategy. Review is a proven way of re-enforcing what someone has learned. In this case though, I found myself skipping over the review to get to the next set of strategies. This part of the training doesn’t cover how-to so much as just give you some really creative ideas for different types of videos and ways to use them. She does talk about book trailers of course, but she goes way beyond that. There are things like video diaries, video emails to your fans, video FAQs, video press releases and much more. She also points out how you can use video to catapult yourself into live speaking engagements. This is exactly what it says, the steps to a book launch. This video covers WHAT to do, and is a great checklist and timeline for doing a book launch. The HOW is covered later on in the YouTube training. She uses a mind map in the video and zooms to each portion of the mind map as she discusses it. There is also a downloadable PDF that is basically the screen shots of the portions of the mind map from the video. I would have liked it better if the PDF had been an outline. Most mind map software will let you export an outline, and that would have been more helpful to me. It would be fairly easy to create your own checklist from this though, and I strongly suggest that you do so before going through the HOW videos later on. Those two modules are the author-specific parts of the training. After that, you can access the rest of of the video and YouTube training and the additional content from the navigation bar at the top of the members’ area. 7 YouTube Mistakes – a single video at 19:39 minutes. 8 Lessons on Going Viral on YouTube (based on strategies of big brands) a single video at 11:04 minutes. I look at both of these as “extras” and suggest you save them for later, after you get your YouTube channel set up and optimized. How do you do that, you ask? That section contains very detailed training on setting up, optimizing, managing and marketing your YouTube channel. There are a LOT of videos in this training. When I first saw that, I found it pretty daunting. Fortunately the videos are all very short and clearly labeled. This makes it easy to locate and watch just the training you need. Most of the videos throughout this training are two or three minutes long, and none of them are over 10 minutes, at least in the first 4 modules of the training. I want you to see how detailed this training is, so I’m listing all of the lessons here. As you can see, it’s set up in such a way that you could have the training open in one browser window, and be working on your YouTube channel in another. You can watch a short video, do the steps from that video, then move on to the next task easily. After all of those four modules, you’ll see a link to what Krizia calls the Core Video Marketing Training. These videos are a little longer and cover some more in-depth topics, like outsourcing video, finding video content, video location, and branding. In other words, how to actually outsource or create QUALITY videos. And then, the final link on the YouTube training page is the YouTube Marketing Strategy mind map. Like the mind map mentioned in the earlier author-specific training, she provides a PDF containing the sections of the map. Again, I suggest making a checklist from this, so you can print it and work from it. Video Disclaimer – A template to use when you are interviewing guests on your videos. YouTube Overview Cheat sheet – This one is about optimizing and advertising. YouTube Channel Template Checklist – This one is more about making your YouTube Channel more attractive. The Video Planning Calendar and training video are available in this section again. How to get started with screen capture video. This training isn’t there yet, it says coming soon. This is the section where Krizia makes recommendations for the tools and equipment for creating your videos. It’s obvious that Krizia is very passionate about video. I admit that I am not. But it IS a necessary and powerful way to engage your audience, and the training here is very thorough. I like the fact that all of her how-to stuff is broken into very small, easily identified instructional videos; and also that she doesn’t assume you already have a YouTube channel, or even a Gmail account. And if you do have those things, you can simply skip to the part of the training that fits where you are in the process, because her video titles tell you exactly what is on each one of them. If you purchase Video Authority Author, you’ll be offered an additional training on making your videos go viral. I have not reviewed that one, so I can’t give any specifics about it. What I can say about it is that I wouldn’t hesitate to recommend it if you want to learn viral video strategies. Krizia impressed me that much. If I’m going to have to learn something that I don’t particularly love, (and video is definitely on my must-learn list) I want to do it from a pro. Krizia is that, and she loves what she does AND she teaches video from an author point of view. For those reasons, I’ll be setting up my YouTube channel and getting started with video using Krizia’s training.